DC MOTOR dual Bipolar DC motor driver DC Motor can drive 2 DC motors with speed and direction control depending on the CV input. Motor driving circuitry and CV input circuitry are optically isolated without any ground connection. Requires external power supply for driving motors. 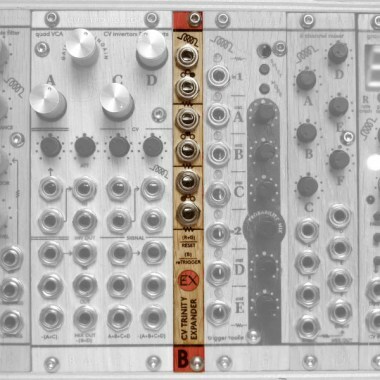 Eurorack модули Bastl Instruments DC Motor Вы можете купить по выгодной цене в наших музыкальных магазинах в Москве и Санкт-Петербурге, интернет-магазин, доставка по России.